Any idea what the drivers where salavaged from? Altec Lansing Model 19, Klipsch Klipschorn, Altec Lansing VOTT (pretty much any of them haha), JBL Bass Scoop (not fussy on model and am likely to build one for fun) and Technocs SB-7000a all speakers I wouldn't mind owning at one point. This is kinda why I am a little envious of Red and his Model 19s haha those things are so hard to get now and cost a fortune even in trashed cabs with damaged surrounds and dead crossovers. Your family friend has done well for himself amx his gear looks positively beautiful and I beet it sounds just as great. how's your Hertz (bookshelf) project btw? Parted up and in a car at the moment haha the empty cabs are on my shelf. What I really need to get back to is my arcade cab. 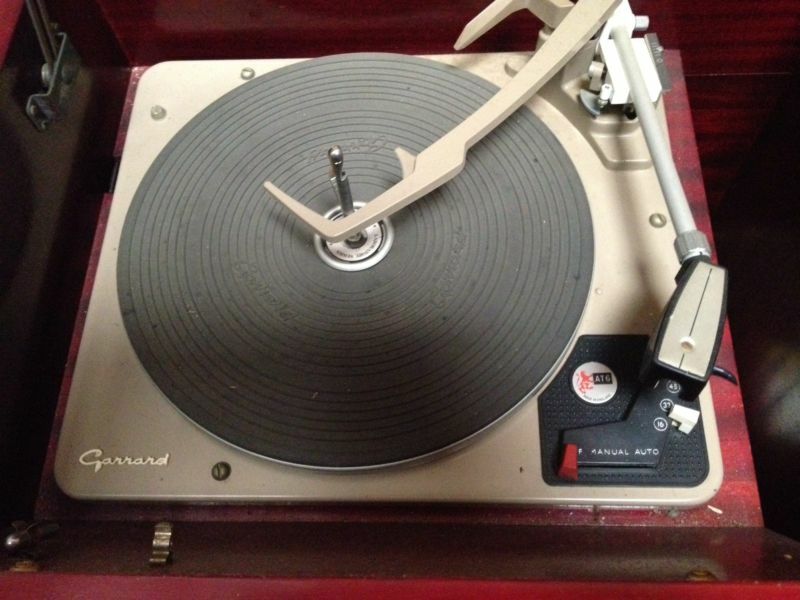 Well I know I said I probably wouldn't get a Garrard turntable...... but I just got a near exact replacement of it. As well as a bunch of other parts should things fail from a much less pretty stereogram with ruined speaker cloth and to me ugly red wood stain. those TT are priceless, save the parts. but i've seen a few of those belt driven ones built by my friend joey though, he mixed and matched some parts sometimes. Ahhh a rough list of parts, orfton tonearm, headshell and cart, along with a beautiful plinth and most importantly the Garrard 301 a far step away from the TTs that populated hundreads of consoles in the 60s and 70s. Its from the 50s and useually only sold as a bare chassis. 16lb worth of die cast aluminium 6lb in that lovely platter. M, you obviously have an ear for this stuff. you should hear the Model 19's (Voice of the theatre) as they were known, through the Nakamichi PA-7, playing a half speed master vinyl on my Pioneer PL-71 direct drive TT. You can close your eyes and here what row the violinist is sitting in. It's really cool. ...now if I can just talk my dad into selling me his Carver Silver 7. You didn't miss a t then did you? You are talking about actual Carver Silver 7s?